Author: Philip R. White. 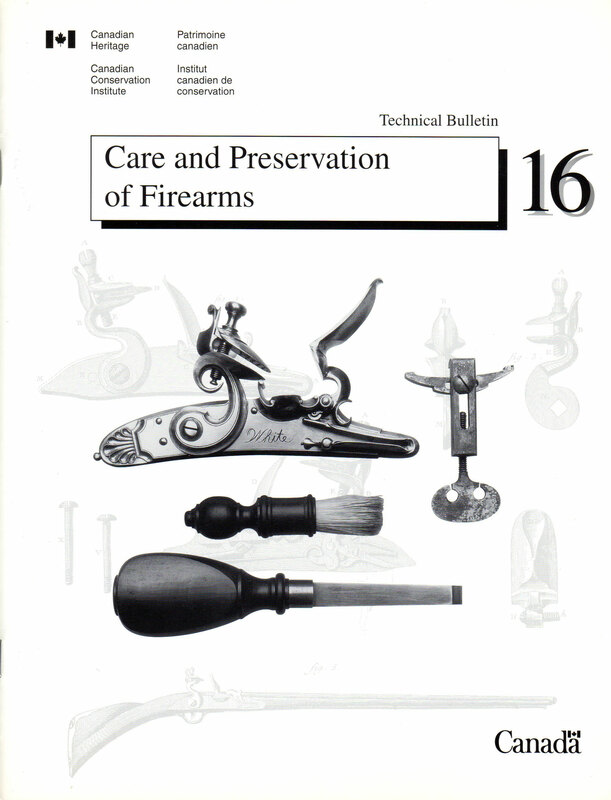 Offers guidelines on the care of firearms to curators, conservators, and others. Topics covered include deterioration, examination, handling, conservation, and storage of firearms. A glossary is included as well as a bibliography for further research on the subject.